deSIGNery Sign Co. screen-prints your custom decals using UV inks for lasting color even in the direct sun. We can cut your custom laminated decals to any size that your project calls for. 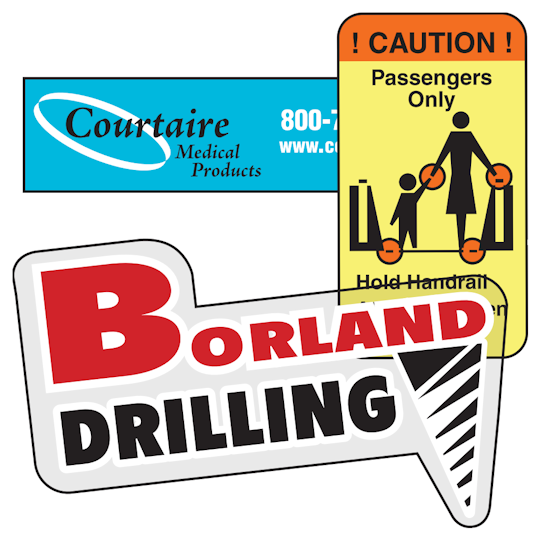 The below example is a good representation of what the uses are for laminated decals. These overlaminated stickers will be going on a relatively smooth surface but need to be protected from the constant abrasion from the public and from cleaning. Check out our Spring Sale for savings on Heavy Duty Custom Laminated Decals and Laminated Stickers in the following link. 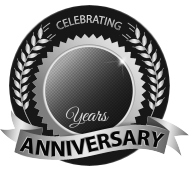 BBB Member since 2004 with a proven record of complaint free customer satisfaction on items like Heavy Duty Custom Laminated Decals. Click on the BBB logo above to check our record or leave a customer review. If you are in the market for Laminated Stickers, give us a call today and you will soon realize why after 24 years we still have an A+ BBB rating! At deSIGNerySigns.com we have more than 24 years experience in designs for our Laminated Stickers. Call us today and let our design specialists help create your next project to promote your product or business. FREE Shipping on all decal and sticker products | Free layout | A+ BBB rating | 24 years in the business | Call Today for a free quote on Laminated Stickers. Tuf-Ca™ Overlaminated White, Yellow, or Clear Stock is recommended where the application requires high performance. The imprinted vinyl or polyester is covered by a Clear Polyester Overlaminate, a protection for decals second to none. Materials are supplied with permanent, pressure-sensitive, acrylic adhesive. Custom laminated decals are also furnished with split backing. Whenever you have a decal that will be going on a relatively smooth surface and will be in constant handling, cleaning, or rubbing from the public or from other obstacles, there is a need for laminated vinyl stickers. Some examples would be on a door where something to the lettering "PUSH HERE" would be the text, organizational binders where they are constantly rubbing each other when taking them on and off the bookshelf. We have sold them to exercise gyms to put on equipment where there is constant friction between clothing and decals. Many hospitals and nurserys have purchased them because of the ability to hold up under the constant cleaning.